I’m Cameron Callahan, an indie comic creator from Southern California. 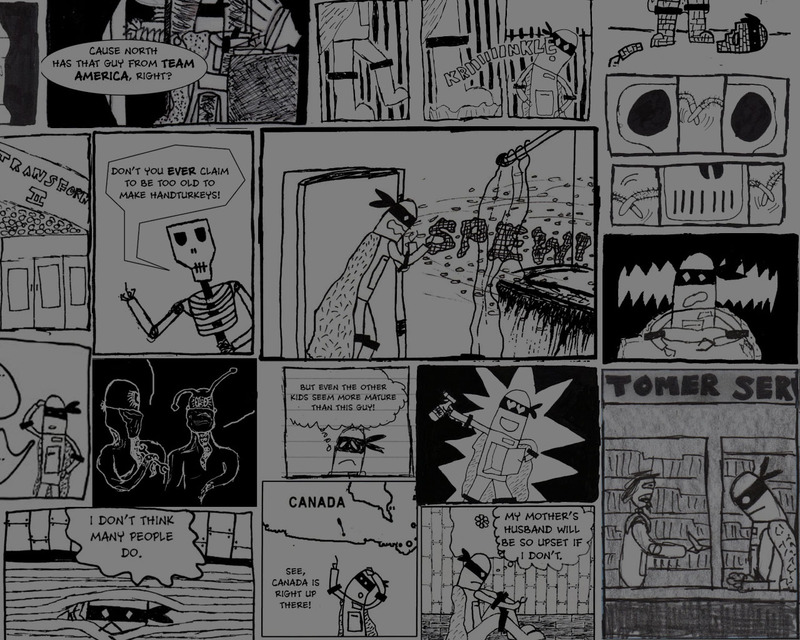 I started making comics in January of 2009 after having lost my job. A few months later I was running off copies of a 30+ page minicomic and spending the next few nights folding and stapling Scrambled Circuits #1 - a series of short stories about a robot named Primus and his attempts to connect with those around him. I’ve always loved comics but never thought I’d be able to make something of any value. It took the pressures of unemployment and a living situation change (among many other things at the time) to force me to really search for something to make me happy in this stressful time - And that’s when my love of reading comics turned into a love of making comics. Scrambled Circuits: Crude Beginnings - A 100 page paperback collecting the first 3 Scrambled Circuits issues written while exiled in the Southern California desert between 2009 - 2011. Follow for updates on what Cameron Callahan is creating.